The Real Housewives of Beverly Hills has had one of the most interesting casts of any of the Housewife shows-from actual millionaires to poseurs and real-life actresses. Since the show began in 2010, 17 ladies have been cast as full-time Housewives. Two OG’s from Season 1 remain-Kyle Richards and Lisa Vanderpump (we will see what happens after this season, though)! And snarky Camille Grammer has been either a Friend of or Guest on every season but one after leaving as a full-time Housewife after Season 2. This season, two other former Housewives are coming back for at least one appearance. And they happen to be two of the most talked about-and polarizing-cast members of any of the Housewife shows-former child star Kim Richards and volatile, often-acts-like-a-child Brandi Glanville. 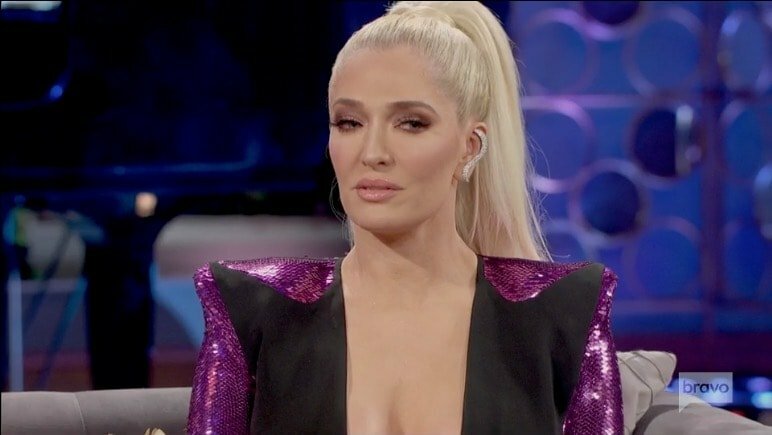 And current cast member Erika Jayne recently shared her thoughts about the return of Kim and Brandi. Dorit and PK are under mounting financial pressure, so it isn’t shocking that they didn’t pay Vanderpump Dogs the $5,000 fee for violating the contract. “Puppy gate” has rippled through the entire RHOBH cast. Teddi Mellencamp Arroyave says that Lisa instructed employees John Sessa and John Blizzard share information about Dorit’s dastardly deed with Teddi. 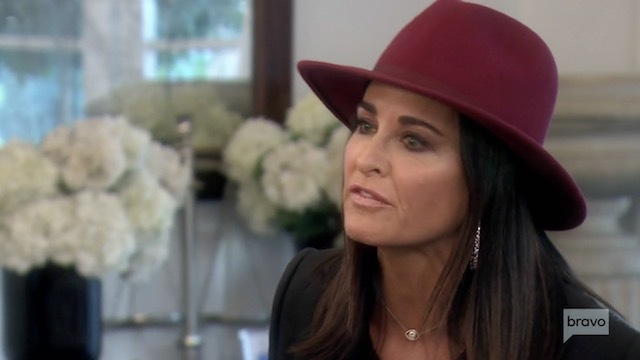 Kyle Richards believes, along with every other Beverly Hills Housewife, that Lisa leaked the story about Dorit to the press. It would be difficult to dispute that The Real Housewives of Beverly Hills’ Lisa Rinna is the queen of the hustle. From hawking adult diapers to shilling her clothing line on QVC, Lisa will do anything to make a buck. Nothing wrong with that. For the right price, who wouldn’t don a diaper on television? Lisa’s favorite sideline over the past few years, however, has been as a “momager,” attempting to launch her daughters with Harry Hamlin into modeling careers ala Yolanda Hadid. Delilah Hamlin and Amelia Hamlin have had some success in the modeling world so far, with magazine covers and ad campaigns. And now, there is an unconfirmed report that a possible reality show starring the Hamlin sisters in the works. OK-who wants to immediately vacation at Baha Mar in the Bahamas? I do! The resort is the kind of place where you can swim, golf, see baby flamingos and luxuriate in suites bigger than your own house. And of course, the Real Housewives of Beverly Hills couldn’t visit such a beautiful place without leaving their designer mark upon it. 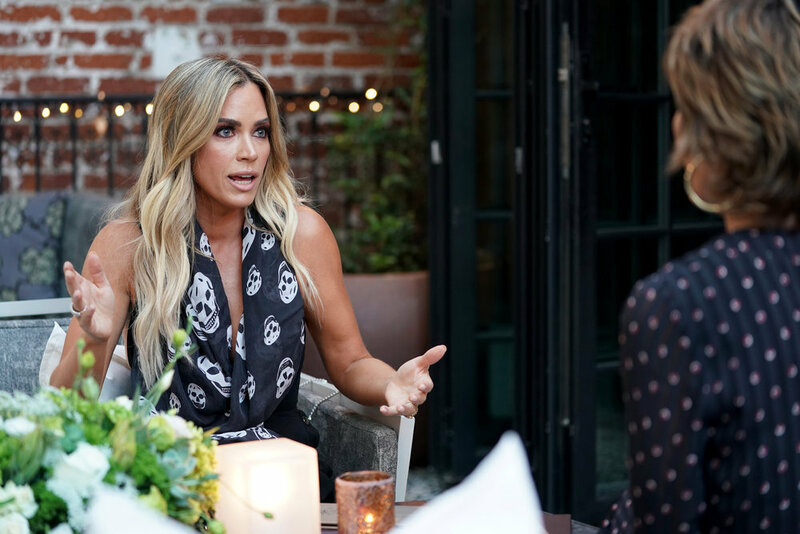 Accusations of half-truths, bad intentions and revenge are on the menu at the resort courtesy of Teddi Mellencamp Arroyave and Dorit Kemsley. With claims of Lisa Vanderpump being the evil chef who serves up manipulation stew. And stirring the pot to make sure that everything bubbles to the surface is none other than sous chef Lisa Rinna. Although she laid low last season, the Chef of Instigation is back with a vengeance. And making sure she is front and center in the drama of Dog Gate.